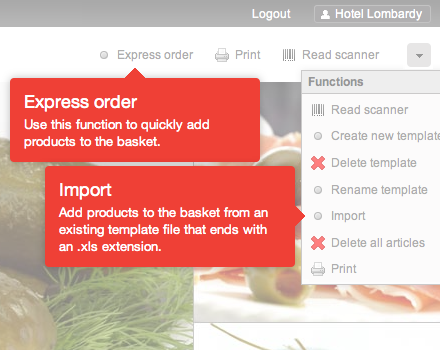 Context-sensitive help for any website. How? Drag this bookmarklet into the browser bookmark bar. Go to your website, click the bookmarklet and start editing. Create a user account and save your online help items. Very easy to use for everyone. You don't have to install expensive software. Your online help will be always up-to-date. Need to quickly change something? Do it in a matter of seconds. You never have to write expensive and boring manuals again. 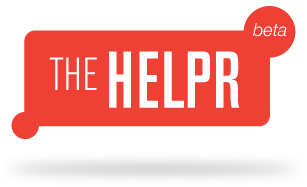 Go with The Helpr and provide help right where it's needed. Popscan is an E-Commerce solution for B2B. The Helpr adds additonal information to the function menu. The Helpr in action. 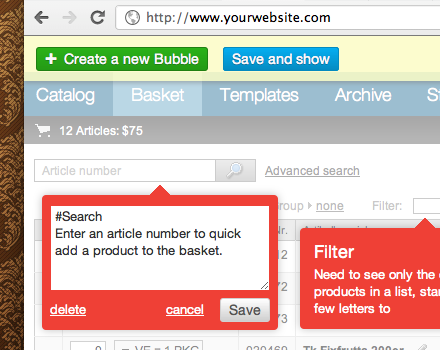 Editing exisiting context-sensitive help annotations aka Bubbles inline!